Princess Cruises’ newest ship Regal Princess delights both day and night. I stepped aboard the new Regal Princess looking for a respite at sea. And I’d happily find it in the friendly, contemporary elegance. The 3,560-passenger, 141,000-ton ship, a sister to last year’s Royal Princess, is big for Princess Cruises — so large, in fact, that during our summer sailing from Athens to Venice, our captain informed guests that he would actually have to back out of the harbor in Piraeus. So besides its regal size, what else makes this ship special? Expansive open decks offer plenty of opportunity to relax in the sun, and a new aft pool brings a quiet retreat from the livelier main pool. The Retreat Pool and the for-a fee, cushy outdoor lounging area, The Sanctuary, provide an escape for adults — including in private cabanas. The well-equipped, ocean-view fitness center has state-of-the-art equipment and a full menu of fitness classes (most for a fee) including multi-session TRX training. You can also work off calories jogging on the track or strolling on the new, expanded Promenade. Test your skills at the batting cage, which is set up on select days on the basketball court. Elsewhere a patch of fake grass serves as a putting green and also a court for bocce or croquet. For something different, try your hand at a shooting simulator (for age 18 and up) or get into the rhythm of outdoor Zumba. Kids get to hang out in spacious, age-appropriate spaces that include outdoor areas. For teens, this means a hip lounge with wading pool; for tykes, it’s a playground with tricycles. 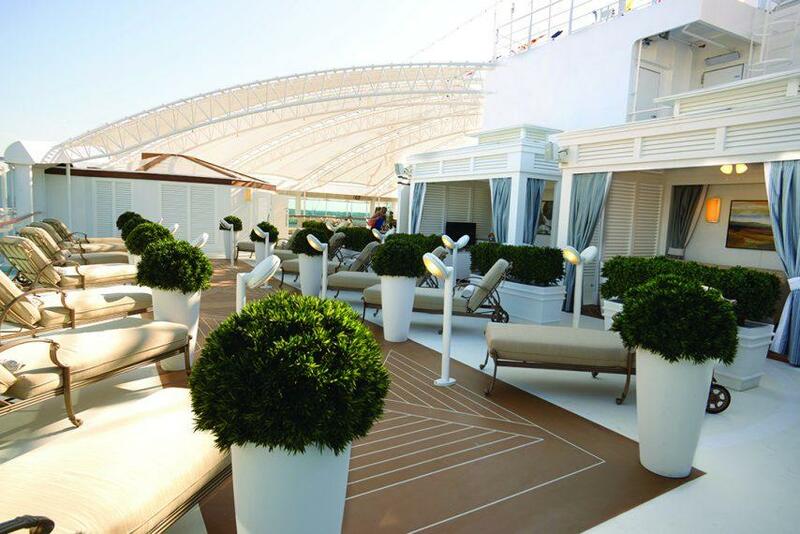 The best-in-fleet Lotus Spa provides an oasis of calm. In addition to a full menu of treatments such as facials with jewel-infused elixirs and couples massages in villas, you can indulge in The Enclave, a thermal suite outfitted with a hydrotherapy pool, Turkish hammam, Roman-style sauna, and a pair of heated, heavenly waterbeds that are perfect for a midday snooze. Back on deck, don’t miss cheering on bartenders who dance, toss, and perform amazing balancing feats while music pulsates in the background. The action takes place at the SeaView Bar, one of two top-deck spaces (the other is SeaWalk) with a glass walkway that cantilevers off the ship, providing “wow” views of the sea 128 feet below. Check the daily Princess Patter and you’ll find more activities than you can possibly do in a week — from trivia to bingo to cooking classes. Or turn on your smartphone’s WiFi on board. Princess has a free Regal Princess app that posts daily events, maps, and photos. Some of the best activities take place in Princess Live!, a 280-seat theater/TV studio. When I first saw it on Royal Princess, I admit I wasn’t sure what the line would do with the space, beyond broadcasting a jolly shipboard morning show called “The Wake Show.” Turns out this is the venue for everything from lectures and audience-participation game shows, such as The Liars Club and Marriage Match, to a murder-mystery evening during which the audience helps figure out who killed Danny Dangerous. New on Regal Princess, windows let you observe what’s going on inside the space before you make the leap inside. Another popular favorite is the Princess Pop Star contest, where passengers compete on their singing skills. Even on a destination-rich itinerary there is a lot happening at night, with live music in nearly every lounge, casino action, comedians, a disco scene, and more. It’s immediately clear that action-central is The Piazza, the extra wide, three-deck atrium where there is nearly always something going on both day and night. With undulating lit staircases, theatrical balconies, twinkling lights, and waterfalls, this is in no way a pass-through space. If the string quartet, body-balancing acrobats, piano player, or live dance band doesn’t catch your attention, the aroma of fresh espresso from the 24-hour International Café surely will. Have a seat. This is prime people-watching turf. Everyone at some point comes to The Piazza for entertainment, socializing, nibbles (including pizza at Alfredo’s or oyster shooters at the Ocean Terrace Seafood Bar), and drinks (wine at Vines, champagne cocktails at Bellini’s Bar, or martinis with piano tunes at Crooner’s). After dinner — with specialty dining choices including the excellent Sabatini’s (with an all-new menu) and the Crown Grill steakhouse — plan to stay awake awhile. At the main pool area, the fountains that provide a fun water feature during the day shoot water 33 feet in the air during thrilling water and light shows, including one featuring Michael Jackson songs. It’s like Vegas, baby. 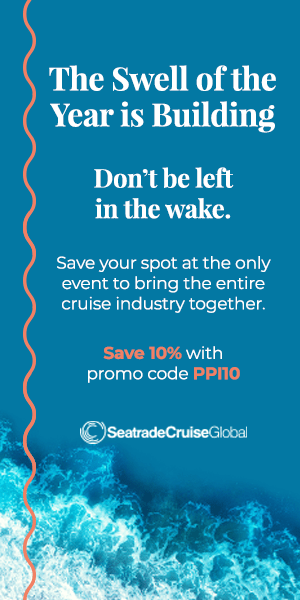 On the giant outdoor Movies Under the Stars screen, you can catch the cruise ship equivalent to drive-in movies; Think Sandra Bullock floating in space in Gravity under a star-filled night in the Greek Isles. In the main theater, Regal Princess has debuted new production shows including the opera-influenced Bravo, with a featured soprano, cast of singers and dancers, and 13-piece orchestra. Another new show, Fiera!, involves a love story, a fairground, and contemporary hits by Lady Gaga and Guns N’ Roses, among others. Just don’t forget at some point you’ll need sleep. Tomorrow will bring another fun-filled day.